Unlocking the Mysteries of Genesis supports a biblical worldview with scientific evidence and offers answers to some of the most controversial questions of faith and science. This is a download and not a physical resource. 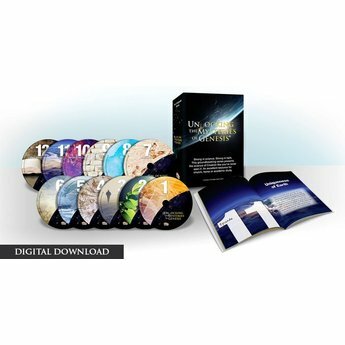 Unlocking the Mysteries of Genesis is a groundbreaking 12-part DVD series that offers scientific evidence that confirms Genesis as a chronological record of God's creation. Targeted to the Millennial Generation, Unlocking the Mysteries of Genesis supports a biblical worldview with empirical scientific evidence and offers defensible answers to some of the most provocative and controversial questions of faith and science. Through interviews with leading experts, on-location investigations, insights from cutting-edge research, dynamic animation, and stunning visuals, Unlocking the Mysteries of Genesis takes viewers on a memorable journey through some of the most fascinating topics in creation science. Each episode is designed around a 22-minute topic ranging from the origins of life to evolution to the age of the universe and Noah's Flood. It is accompanied by a viewer guide to aid discussion and extend learning with other suggested resources. This is a fantastic resource to use in small groups, Bible studies or as a church-wide series. Also includes a digital copy of the viewer guide. Please note, this is a download and not a physical product. Once your purchase is completed, you will receive an email with directions on how to follow through with the download of your purchase. If you have any questions about the process, this resource, or any other item on our store, please visit our Help page, reach out to us at orders@icr.org, or you can call our customer service department at (800) 628-7640 during normal business hours. Digital downloads do not include subtitles or closed captions. If you prefer, this resource, Unlocking the Mysteries of Genesis, is available with subtitles in physical form and can be shipped directly to you. We received this after attending an ICR conference. Just finished watching it with the family. Done amazingly well. Kept the interest of the seven-year-old, while still challenging and informing the teenagers and the adults. Great stuff! About to use it in our small group. I have been using Unlocking the Mysteries of Genesis to teach a Sunday School class of approximately twenty-five 6-8th graders, and it has been holding their interest, which is quite a compliment and testimony to the excellence of the series. But it is not only holding their interest during the video itself, but also in the discussion afterwards, as it is clearly stimulating their critical thinking. Thank you for producing a series that helps me to equip these amazing students of mine with the tools that they will need to defend their faith in the years ahead. 5++++++++ stars! I am using this series in my 8th grade Bible class in a Christian school. The DVDs along with the student workbook have been a very nice addition to my curriculum. What a great resource to show our students that we have intelligent reasons for believing the Biblical account of creation. Thank you for your work. We are leading two sessions of this study at our church on Sunday mornings and they continue to grow in attendance. We will be doing it again in the fall by popular demand. Some of congregation home Bible studies have gotten copies to go through the DVDs on their own. The response has been overwhelming and positive. Bless you guys for this! We highly recommend this series. Professionally rendered in HD with good quality audio. These are the facts that answer the hard questions and build the baseline foundation of our faith. Its time to stand up and hear the truth unlike what is being taught in our public school systems. The Chinese subtitles were wonderful for my wife. Great job ICR!!! This series is very well done. The content is stimulating and interesting and the organization of topics clean and logical. There is overall good scientific and technical detail narrated in a style that is accessible. The series should be engaging to a wide range of ages from young teenagers to adults, both with and without much scientific training. The visuals are superb. Highly recommended. Covers the issues - really nails it! Current information, spectacular video footage, first class dialogue, concise and pithy. This video series is very well done, and I highly recommend it to anyone looking to strengthen their own faith for creation, or to use as a teaching tool. I plan on using it while I teach high school students at Church. These videos are the perfect quality and length for the teenage attention span...22-25 minutes each. Even though the videos are short in length, there is a tremendous amount of high quality information covered in each video. This series is great for adults too. 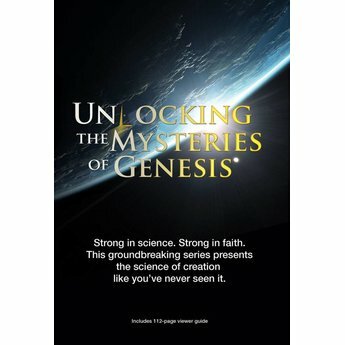 I can not say enough positive things about Unlocking The Mysteries of Genesis! What a fantastic DVD series! Totally explains any questions that evolutionists could try and debate. Captivating. We bought the set for Rockbridge Christian Academy. The students are most attentive! Amazing cutting-edge research. Host Markus Lloyd presents this clearly and did not rush through it. 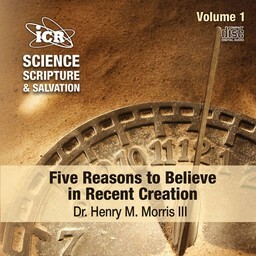 Our Creator has used ICR to present the PROOF of our faith and discover the harmony between Scripture and Science. Buying another set for our grandchildren. Thank you, ICR! Keep up the good work for our Master, Jesus Christ. 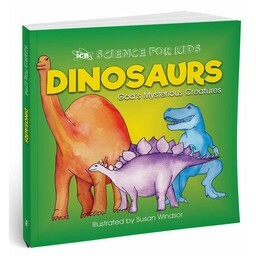 A MUST DVD for all those interested in the true science of Creation. BRAVO! We purchased this series, and watched all 12 episodes as soon as we received it. The photography is phenomenal! The truths presented in this series makes us more keenly aware of our Biblical roots and the fact we DO have a Creator--God Himself. We are presently showing it to a church group on Sunday night, who are very enthusiastic about it, and look forward with anticipation to the next weeks program. VERY WELL DONE!! I am the pastor of a small country congregation. The members of this congregation are not as familiar with Genesis and all the incredible information that is found there as far as the history of the earth. We are going to begin an expository, text-by-text, study of this book and I felt this video series would be a great way to start the study. I was NOT disappointed! The video series has helped build a foundation for the congregants that will establish a solid biblical worldview before we begin the actual Bible study. The concepts taught in the video series are helping strengthen these saints in their understanding of how the world began and are helping them stand for their faith when challenged by the Darwinian evolutionary worldview promulgated by secular science. Thanks for this wonderful resource! I bought them to help teach my Childrens Church. Even though a lot of the talk is above my young kids 5 -10 yrs old, they picked up on the different ideas with the outstanding photography and narration. When we've had extra time on a Sunday, they want to watch part of a DVD again. I loved all twelve DVD s. Very interesting and professionally done. Great DVD, recommend for a basic understanding of the issue. Kids like it too.